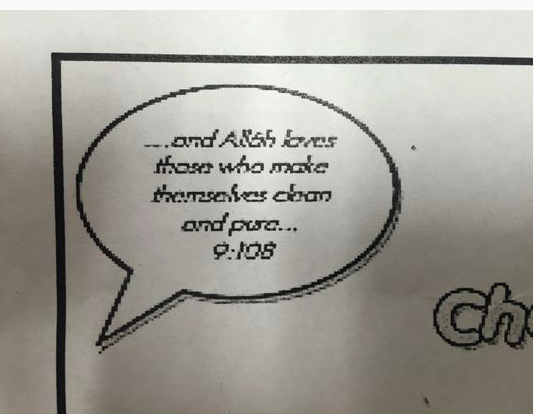 BARNEGAT – The father of a second-grader in the Cecil S. Collins School was alarmed to see references to hijabs and thawbs – clothing worn by religious Muslims – and a quote from the Quran included in a health and hygiene worksheet given to his daughter. The worksheet included instruction about cleanliness and neatness not just of shoes and clothing but of a student’s hijab and thawb, an ankle-length robe-like garment worn by Muslim men, according to pictures sent to the Asbury Park Press by Barnegat father Chris Sharpe. Pay for Play: Where did DHS Secretary Jeh Johnson Get Five Hundred Grand to Donate to the DNC? “In an effort to boost revenue amid falling ad sales and lower than expected revenue projections” The Guardian News Agency is going to cut 30% of its US Staff. Further evidence of America’s failed foreign policy is highlighted in a new report by the “Special Inspector General for Afghanistan Reconstruction” (SIGAR). The report indicates that the U.S. government’s failure to identify and combat corruption allowed American aid to fuel the Taliban insurgency in Afghanistan. Comic juxtaposes two instances of "taking the knee"
comic illustrates "Where we began" vs. "Where we are today"....Sad doesn't even begin to describe it.